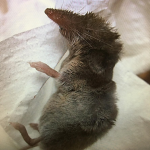 Shrew – What do they look Like? This shrew was found in Dallas Texas. A shrew is one of the smallest mammals. They grow up to three inches in length. They are grayish to reddish brown, They have poor eye sight and hearing. They use echolocation which creates a multiple number of clicks which helps them in direction. They hunt by smell and touch, usually digging through leaf litter to find prey. They will also eat seeds, fruit, insects and corpses of dead animals. They eat the internal organs of such things as crickets and grasshoppers. They have also been found inside bee hives. They also will live in shallow runways or burrows. They are very social creatures. Their number one predators are skunks, snakes, owls, hawks, raccoons and red foxes. They can run very quick. February is a month full of adoration. While love is in the air, Sureguard Termite and Pest Services are sharing facts and prevention tips about the main pests many people love to hate—bed bugs, cockroaches, mosquitoes and spiders. Nobody enjoys encountering pests in and around their home, especially when they can bite and produce itchy welts like bed bugs and mosquitoes. Some can pose significant health risks, such as cockroaches, and others – like spiders – can be just plain creepy. The following pests are considered by Sureguard Termite and Pest Services to be most hated by the public. Bed Bugs: According to an NPMA survey, one out of five Americans has experienced a bed bug infestation or knows someone who has encountered these despised pests. Avoiding these pests requires properly inspecting hotel rooms, leaving suitcases on bathroom tile, for traces of bed bug signs before settling in; and, carefully unpacking upon return to ensure no bed bugs hitched a ride home in a suitcase. Cockroaches: Cockroaches spread bacteria and pathogens by picking up germs on the spines of their legs and transferring them onto food and preparation surfaces. They can also exacerbate allergies and trigger asthma attacks in those people with a cockroach allergen sensitivity. The best advice for cockroach control is to practice good sanitation by vacuuming often and keeping a spotless kitchen. It’s also important to eliminate moisture build up around the home. Mosquitoes: Mosquito bites are not only irritatingly itchy, but they can also transmit threatening diseases, like Zika virus, West Nile virus, Dengue and more. The key to mosquito prevention is wearing bug spray and applying it properly. Make sure to apply an insect repellant containing DEET, picaridin, oil of lemon-eucalyptus or IR3535. Spiders: The common house spider is usually the spider most often encountered indoors. To prevent common house spiders from entering the home, seal cracks and use screens on windows and doors. Use a vacuum to remove adults, egg sacs and webs. Most people can name several different mosquito-borne diseases. The most well known mosquito-borne diseases include the Zika virus, the West Nile virus, malaria, yellow fever and maybe the chikungunya virus. Although these diseases have historically been given the most attention on account of the epidemics that have occured in the past, these are far from being the only mosquito-borne diseases that have been documented throughout history. An eight year old Haitian boy has recently contracted a rare mosquito-borne disease that some experts think may become all too common in the future. This disease is known as the Mayaro virus. The Mayaro virus was first discovered and documented in 1954 in Trinidad. This mosquito-borne virus was discovered after several forest-workers in Trinidad fell ill from the virus. Since then, the Mayaro virus has not gone on to infect large populations, and the virus could be considered quite rare. However, South America has seen a few Mayaro outbreaks since 1954. The virus has infected people living near the Amazon rainforest in Brazil. The virus is spread by a tree-dwelling mosquito species that typically feeds on monkey blood-meals. A new study suggests that this virus may currently be underdiagnosed, and it could become more prevalent in the future. The Mayaro virus is a close relative of the chikungunya virus and its symptomology is largely the same. Mayaro causes fever, joint pain and muscle pain that can be acute and can last for weeks. In addition to this unpleasant symptom, Mayaro symptoms are similar to those of the flu. Typically, Mayaro disease is not a concern to public health professionals. However, this has changed after a boy living in the Caribbean became infected with Mayaro. American medical researchers detected the mosquito-borne disease in the boy after he was wrongly diagnosed with typhoid fever. Public health experts are now on the lookout for the Mayaro virus, and the researchers confirmed that the virus is currently circulating among Caribbean islands. Do you think that if another mosquito-borne disease epidemic occurs, the disease will be a rare and largely unknown one, like Zika was? Insects are constantly tending to their own survival during their short lives. Some insects are naturally endowed with more effective survival methods than others. No matter how well a particular insect species is protected from predators, no type of insect can afford to relax within such a hostile environment. This is especially true for termites. Termite predators are prevalent in most regions where termites can be found. There exists several different ant species that regularly declare war on termite colonies. Unfortunately for termites, ants normally win. Obviously, ants are relatively small creatures, so how would termites hold up against larger forms of insect prey? The answer is just as you would expect–not well. When considering all the different types of bugs that prey on termites, assassin bugs would have to be the most feared among termites. Since termites are elusive creatures, it is rare to find them defending their colonies against enemy incursions in the wild. Luckily, Dr. Elizabeth McMahon, a University of North Carolina biology professor, managed to observe a termite colony being attacked by a single assassin bug. What amazed Dr. McMahon was the assassin bugs use of bait and camouflage to lure its termite prey into certain death. While conducting field research in the Costa Rican rainforests, Dr. McMahon noticed several termites venturing out of their nests for food. Strangely, she also noticed that a part of the termite nest had been moving. She quickly realized that this moving object was actually an assassin bug that glued fragments of a termite nest to its back in order to invade a termite nest unseen. Once the assassin bug reached the nest entrance it impaled an emerging worker termite with its mouthparts before sucking out all of the termites innards. However, the assassin bug was still hungry, so it used the termite corpse as bait to lure more termites toward the entrance of the nest. The assassin bug then killed the next worker termite and repeated the process until the assassin bug had consumed the innards of thirty one individual termites. These termites continued to move to the entrance due to their habit of consuming fellow colony members after they die. Termites need to consume dead colony members for the nutrition that they offer. The assassin bug’s camouflage was the perfect choice, as the blind worker termites assume that this camoflauge is just a part of the nest that had fallen apart. The worker termites never expect an assassin bug to be hiding behind pieces of their nesting shell. Dr. McMahon was the first person to document this predatory behavior, and she caught it on tape. The assassin bug’s seemingly intelligent baiting method remains one of the most sophisticated predatory behaviors ever to observed in insects. Do you think that an assassin bug’s uniquely effective predatory behavior is a sign of intelligence in an insect, or is it a matter of instinct? Unless you are a professional entomologist, you probably don’t have much to say about moths. Wasps are not the most exciting of insects, but if you have ever stepped on one, then you may have noticed something strange. When people crush moths, a powdery residue can often be seen coming off of them. In reality, this smokey-substance was not any type of powder; instead what you saw were scales. That is right, moths have scales too. In fact, the moth’s family name is Lepidoptera, which means “scale wing”. We all know fish to have scales, which may be necessary for some aquatic organisms, but why would a flying insect need scales? The scales that are located on a moth’s wings actually provide a number of beneficial uses. Moths possess wings that are covered in scales mainly to assist with flight. When moths are flying around, air gets trapped in between their wings and scales, which creates lift. There is also another reason as to why scales are important to moths, and it turns out that their lives depend on these seemingly functionless scales. When moths get caught in spider webs, their scales come in handy. As you may know from crushing a moth in the past, a moth’s tiny powder-like scales can easily become detached from their wings. When a moth’s body adheres to a spider webs sticky surface, a moth can simply fly away while leaving their detached scales sticking to the silken spider web. Luckily for moths, it is the moth’s scales that attach to a sticky spider web, and not a moth’s wings. However, these scales can sometimes draw bird predators toward a moth, especially if the scales display a colorful design. In these cases, moths resort to an erratic flying technique that leaves birds dizzy as they try to track down their insect-meal. Butterflies also resort to this method of predator evasion. Do you think that the scales on moth wings could be replicated in robots that are built to mimic a moth or a butterflies flight movements? Termites cannot get enough cellulose, and many of them do not mind eating-away at live plants and trees in order to get their fix. Termites do not pose a significant threat to crops within the United States, but in some countries termites are more of a threat to crops than they are to man-made structures. This is especially true in agrarian countries where agriculture is the largest sector of the economy. In the majority of countries termites are either considered secondary or primary crop pests. Most of the time termites are considered secondary pests. However, this does not necessarily mean that termites are less damaging to plants than primary insect pests. Secondary pests only damage plants that have already been compromised by primary pests or environmental conditions. For example, some primary insect pests may drill holes into plant stems or vines. This is damaging enough to plant life, but then termites move in to cause further damage. Reproductive termites will locate these damaged plants while swarming. The reproductives enter the wounds of compromised plant stems or vines in order to start a new colony. Once a termite colony begins to grow within these plants, the entire stock will snap under the weight of the growing termite colony, thus destroying the plant. This is why termites cannot be dismissed as unimportant insect pests. In most cases, primary insect pests do not inflict enough damage on plants to kill them. It is actually the damage inflicted by secondary pests that ends up giving the final blow. Termites are especially damaging to cacao plantations located within several African countries. In Zanzibar termites directly attack the seedlings in clove plantations, and the seedlings of coconut palms are destroyed by termites directly. Coconut seedlings are consumed by subterranean termites, while mature palms are killed by drywood termites. Termite damage to palm trees is most prevalent in Malaysia, India, Indonesia and Nigeria. Coffee and Sugarcane crops located in African, Asian, Middle Eastern and South American countries are also attacked regularly by termites. In Arab and African countries termites often infest cotton crops. Luckily, American cotton crops are not vulnerable to termites, but the reason for this is not exactly known. Even fully developed and industrialized countries, like Japan, contain crops that are attacked ruthlessly by termites. Japanese agricultural officials often find large termite populations within batches of pre-processed rice. Termites also attack a multitude of different trees, but eucalyptus is highly prized by termites. Not long ago, a housing developer used eucalyptus for landscaping people’s homes. Unfortunately, this eucalyptus only invited several termite infestations onto the property. Relatively speaking, the United States may see the least amount of damaging termite activity. Do you believe that a non-native species of termite will be introduced into America at some point in the future? Squirrels, raccoons, skunks and opossums are more apt to wander closer to human environments in search of food, water and shelter during the colder months. As these and other wild animals pose various health and property risks, Sureguard Termite and Pest Services encourages homeowners to take steps to prevent an intrusion this fall. We typically receive an increased amount of calls this time of year in regards to woodland critters cavorting in and around our customers’ homes, especially those located near parks, golf courses, creeks and heavily forested area. The presence of wild animals can be quite problematic for homeowners, as they are known to damage plants and greenery in yards, spread diseases like rabies and carry other dangerous pests, including fleas and ticks, into the home. Some wildlife may be seen as cute and cuddly, but the public should not attempt to remove any wild animals on their own. It’s best to contact your local pest control professional for assistance. Why Do Termite Queens Live Ten Times Longer Than Their Offspring? Most insects do not live long lives, but queens belonging to groups of social insects live significantly longer lives than their offspring. Queens belonging to wasp, bee and ant colonies all live for longer periods of time than other colony members. Of all the social insects that exist, termite colonies possess the most impressive queens. Termite queens amaze people on account of their large bodies and their incredibly long lifespans. For example, queens belonging to the Macrotermes natalensis species can grow up to a full six inches in length, which dwarfs their tiny offspring. Termite queens can also lay up to seven thousand eggs per day and they can live as long as fifty years. Researchers have long wondered how termite queens can live for unusually long amounts of time. Now recent research is showing that queen termites age more gracefully than other termites thanks to antioxidants. Japanese researchers have recently discovered that termite queens possess a unique antioxidant system that enables them to live much longer than non-reproductive termites. For the experiment the researchers compared Japanese termite queens to workers. The researchers examined levels of oxidative damage and they analyzed enzyme expression in order to find anti-aging mechanisms in queen termites. The researchers found that termite queens had less oxidative damage to their DNA, proteins and lipids when compared to workers. The researchers also found that termite queens and workers both possessed antioxidant-producing genes, but queens showed higher expression-levels for these genes. These two genes produce important antioxidative enzymes that are known as catalase and peroxiredoxin. These enzymes were more active in queen termites than workers, which helps explain the queen’s longevity. The researchers learned that queen termites possess efficient antioxidative systems that make use of enzymes that prevent oxidative damage to cells. Worker termites did not produce nearly as much of these antioxidative enzymes. These enzymes act as anti-aging mechanisms that are are expressed more frequently in queen termites than they are in worker termites. Why do you think that king termites live much shorter lives than queen termites? If you are in your adult years now, then you may not have had to worry about bed bugs in your school as a child. Sadly, bed bugs have become so numerous in the world that they are beginning to make appearances within schools. Just during the past two months, several stories have been released in the media that describe bed bug infestations within American public schools. Some of these bed bug infestations are not being handled properly by school administrative authorities. At least this is what several teachers and staff members at a public school in Buffalo, New York are claiming. In response to the administration’s failure to respond appropriately to the presence of bed bugs within a school, several teachers have band together in order to file a grievance against the school district’s leadership. At the moment numerous parents in Buffalo are worried that their children are going to bring bed bugs home with them from school. Bed bugs have been spotted multiple times within the public school, which is being referred to as school number thirty seven. According to the Buffalo Teachers Federation President Philip Rumore, school employees, students and parents are all hoping that the school district will decide to professionally monitor and control the bed bug situation in the school so that teachers and students do not have to go to school worrying about bed bugs. The school district sent letters to the student’s parents that describe the bed bug issue within the school. Pest control professionals have also visited the school. These professionals believe that the bed bugs were brought into the school by an individual. Students are worried about bed bug bites, and teachers are worried about both bed bugs and angry parents. The school district has claimed that if a student brings termites to their family’s home from school, then the school district will direct the affected families to the proper resources–that is big of them. Would you allow your kid to attend school if you knew that the school was infested with bed bugs? Hiring a pest control professional to inspect a home for insect infestations is a normal and everyday occurrence, but how often do people suspect insects of infesting their vehicles? Although it may seem out of the ordinary to discover large insects in your car, many people have reported finding insects in their car while driving. If you have a fear of insects or spiders, then you can understand how finding a bug in your car could be potentially hazardous. In fact, many people have caused accidents after discovering creepy-crawlies within their vehicles. Recently a sixty one year old woman crashed her car into an overhead bridge after becoming startled by an ugly bug that she found within her vehicle. A female senior citizen crashed her red Mazda into a staircase that led to a road-bridge after panicking over a cockroach that she spotted in her car. Pictures of the crash have been posted to social media sites for all the world to see. The pictures show a car that has been badly damaged by making contact with the base of a concrete stairwell. Luckily, there were no pedestrians located on the staircase at the time of the crash. The woman was alone in her car at the time of the accident, but her son soon arrived on the scene to offer his shaken mother support. Although it may seem obvious, a private driving instructor, Patrick Ong, recommends staying calm when pests are located in your vehicle while it is in motion. According to experts, the best way to prevent insects from gaining access to your car is to never eat in a car. Cleaning your vehicle regularly will nearly guarantee a lack of bugs in your car. Inspecting grocery bags for bugs is also recommended before placing them into your car, as insects often hitch rides from food-markets into cars. Cockroaches are easily the most common insects to invade vehicles. If roaches are spotted in your car during the daytime hours, then you can assume that your car is heavily infested with roaches that come out to eat during the night. Have you ever spotted a cockroach in your car either when it was parked or while it was in motion?